Aside from the tournament semi-finals & finals, a superfight between "El Leon" Richard Pabon (#debut) and Allen Cornelius (#4) has been penciled in. 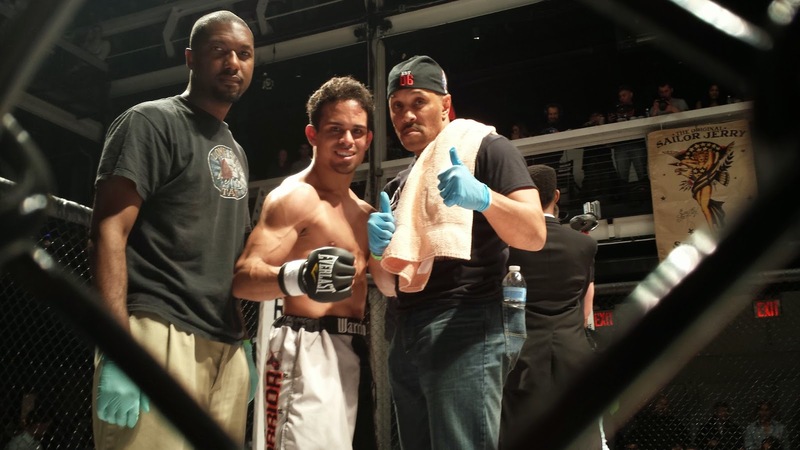 Since the "arrival" of amateur MMA in New York, Pabon has been a regular. Mostly in the NYFE, Pabon has managed to make his mark as a competent fighter and a soldier of God. Cornelius just made his debut in February, winning a gauntlet (winning two matches in one night, non-tournament format). Experience may not be in his side but guts and a nice set of wrestling skills are. Pabon has been steadily improving as a fighter, and his last outing - a spectacular winning effort against a Team Renzo fighter at Victory V - was far and away the fight of the night. This should be a great match-up.